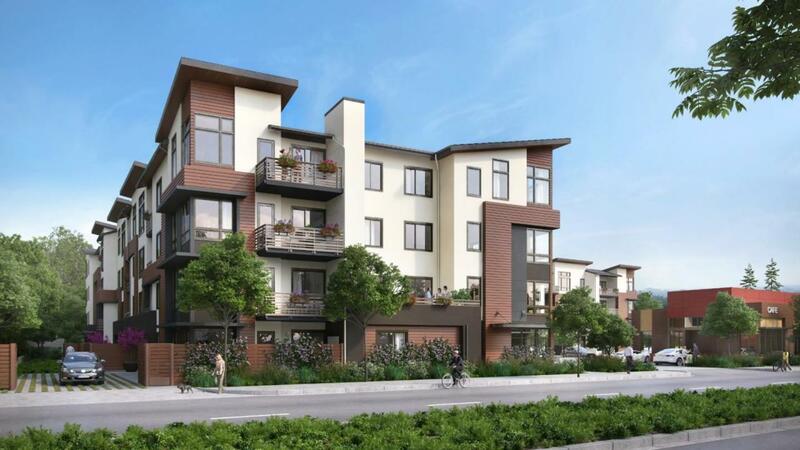 The Ashton is a new collection of 1-, 2- and 3-bedroom condominium homes in Belmont. With floor plans ranging from ~693 to ~1,770 square feet, The Ashton offers modern finishes, a boutique amenity collection, and convenient access to all that Silicon Valley has to offer. Each residence features elegant hardwood flooring in the living areas, LED lighting throughout, and a private balcony or terrace. Kitchens are appointed with quartz countertops, tile backsplashes, Shaker style cabinetry, Grohe faucets, and Bosch stainless steel appliances. The homes bathrooms offer white quartz countertops, frameless glass showers, ceramic tile flooring, and Kohler sinks with Grohe or American fixtures. The Ashtons amenity collection includes a landscaped courtyard, outdoor kitchen and fire pit, a well-appointed lobby, a state-of-the-art fitness center and secured subterranean parking and bike storage.